The seemingly unshakable grip of corruption remains ever so glaring in various societies and climes especially in this nation Nigeria. The necessity of a discuss proffering biblical, timely and intellectual solutions is very much welcomed development. As would every academic write up, this paper will attempt to define the key words in the topic of discuss. This is not to say that the definitions are all encompassing but it is put forward as a light that would pave the way for a fruitful discuss. The words that ought to be defined include: Incorruptible; Judiciary; Catalyst; Equitable and Progressive. The New Webster’s Dictionary of the English Language defines Incorruptible to mean impossible to corrupt morally especially by bribery. One thing we should be quick to note is that the definition refers to the impossibility to corrupt morality. The definition also places a beam on the fact that the most prominent, but not the only, form of corruption is bribery. The Judiciary is said to refer to the apparatus of law and its administrators. Thus, the judiciary is what the common man would look at to see the concept of law at work if peradventure he does not have access to the law books. The judiciary ought to and in fact should represent the very law of the land and its administration. When we talk about a Catalyst, we refer to a substance that alters the rate of a chemical reaction and is itself unchanged by the process. That is to say that the substance which causes a great change in other substance around it does not in itself experience the change. When something is Equitable, we mean to say that such a thing is fair and just. The last but not the least key word is the word Progressive, which means moving forward or onward or increasing in severity, intensity. It has also to do with, or favours, political and social progress or reform. Having defined all of these terms it would remain to piece them all together to give an insight to what this paper seeks to do. This paper aims to enlighten us on the importance for the judiciary to be impossible to corrupt morally and as such dispense their functions in a fair and just manner that would trigger, alter and increase in severity the progress of the our country Nigeria. This is an advocacy that hopes to jolt the judiciary to rise to the morally incorruptible pedestal as is the expectation of the populace. A corrupt judge does not carefully search for the truth; when the truth of a case is not properly sought out the people suffer injustice in the very hands of those who are to uphold same. As the days go by, the glaring nature of the menace corruption has become in our society cannot be overlooked. This factor necessitates this discuss. It is said that in order for one to move forward exponentially, which is the end goal of this paper, one has to go down memory lane albeit to pin point the pitfalls over the years. This section of this paper seeks to x-ray the past and present activities of the judiciary in order that we may move forward. “During the time men live without a common power to keep them all in awe, they are in that conditions called war; and such a war, as if of every man, against every man…. No arts; no letters; no society; and which is worst of all, continual fear, and danger of violent death: and the life of man, solitary, poor, nasty, brutish and short”. The jungle justice that the populace resorts to now and then only fuels further the lack of trust the citizenry has in the judiciary and the regression that now envelopes our society. The most common form of judicial corruption is the bribery of judicial officers and members of the judiciary in order to ensure a favorable outcome for the party advancing such bribe. I dare say however, that is not the only form of judicial corruption there is. Judicial corruption could come also from bias; intimidation and the judicial corruption that is the judicial system itself. Whilst judicial corruption that stems from bribery has monetary consideration as the reason behind the pervasion of justice and propagation of inequality in the application of the law by the judiciary; the judicial corruption emanating from bias is more subtle and difficult to detect and is often times not induced by any of the parties to the suit. The bottom line being that which route is towed the end point is the in equitability in the application of the law to similar situations which results in inequality. For instance, a female judge who went through a gruesome divorce in the hands of a terrible husband when faced with a divorce case will be more sympathetic and likely to favour the female. The same goes for the male judge suffered loss of property during a separation without meaning to this judge will in inclined to help his male counterpart preserve and walk away with as much of his property to himself as is possible within the law. In either of the examples the judge is no longer seeking the truth in and the justice of the case but his own kind of justice which may not be justice in the eyes of the common man. “It must be conceded and addressed, the fact that, going forward, there is a severe crisis of confidence in the judicial arm of Government. Do the courts meet the expectation of the people in the discharge of its primary responsibilities? The answer is obviously in the negative. The consensus is that the corrupt elements in the court system and the Bar have given the entire sector an almost irredeemable bad name. One of the measures to be embarked upon in order to restore the image and efficacy of this arm of Government is the expulsion of Judges who have been proven to be corrupt, from the system”. “My Leader, e fura o. Looto ‘Timi mo Procedure. Oba ni Fani ninu Constitution, beeni Thomas o kere ninu Evidence. Sugbon TOS Benson ni lawyer awon ti a n so yi. E si mo pe TOS mo Ademola o”- meaning yes, these are terrific lawyers, but TOS Benson and Justice Ademola, handling the case, are friends o”. Awo got the message and opted for settlement. The lesson from this they say; is that while the brilliant lawyer knows the law, the successful one knows the judge. Should this be the order of the day? Shouldn’t the best man win? This indeed is the sad and deplorable state below which the judiciary has fallen and an evident example of corruption through intimidation. To further buttress this, Justice Hardy of London in sentencing Ibori for his crimes in a London court described the Nigerian Judiciary as one usurped by men of power. This is far from the ideal justice system we ought to proudly portray as the most populous black nation. 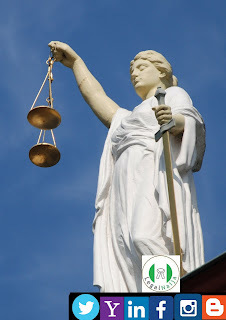 “In respect of the allegation that Alhaji N. O. Nofiu signed 9 form EC8B in the Ife Central LG, the petitioner referred us to the evidence of RW29 and RW42 who stated under cross examination that he is the PDP secretary, and we have gone through that evidence, but we could not find where they were confronted with forms EC8B’s in relation to the said wards of the local government. There must be oral evidence to link the documentary evidence which is lacking here”. Thankfully, this shameful decision of the tribunal was overturned by the Court of Appeal and the rightful winner was sworn in as the governor of Osun state. Of course we would have to mention the most recent corruption allegation against the judiciary that led to the recent arrest of certain judges by members of the Department of State Services (DSS). The affected judges include Justices Sylvester Ngwuta and Inyang Okoro of the Supreme Court; the suspended Justice of the Court od Appeal, Ilorin Division, Mohammed Tsamiya and Justice Kabiru Auta of the Kano State High Court. Also, Justice Adeniyi Ademola of the Federal High Court, Abuja, former Chief Judge of Enugu State, Justice I. A Umezulike and Muazu Pindigi of the Federal High Court, Gombe Division. The DSS claims to have recovered sums of money in local and foreign currencies from the judges which are allegedly proceeds of official corruption. It was also the case that Governor Nyesom Wike protected a judge in his state against armed DSS operatives. The members of the DSS claimed to have submitted complains to the National Judicial Council (NJC) which is charged with the duty of disciplining erring members of the judiciary but the NJC did nothing which made the DSS to step in. The question here is not really about the procedure that was used to “bring the erring justices to book” so much as it is the fact that the judges themselves could have descended so low in the books of the DSS and in fact the society. One instance in the bible was where a judge himself expected the “accused person” to bribe him but the accused being a firm child of God did not descend so low as to offer a bribe. The book of Acts 24 verses 25-27 says that: “25- As Paul talked about righteousness, self-control and the judgment to come, Felix was afraid and said, ‘that’s enough for now! You may leave. When I find it convenient, I will send for you’. 26 –at the same time he was hoping that Paul would offer him a bribe, so he sent for him frequently and taked with him. 27- when two years had passed, Felix was succeeded by Porcius Festus, but because Felix wanted to grant a favour to the Jews, he left Paul in prison”. The example of the Apostle only tells us that we as believers should not assist in perverting the course of justice. On the part of the officers in the temple of justice themselves the bible warns and says in Exodus 23 verse 8 “Do not accept a bribe, for a bribe blinds those who see and twists the words of the innocent”. In Proverbs 17 verse 8 “a bribe is seen as a charm by the one who gives it; they think success will come at every turn”, verse 23 says that“the wicked accept bribes in secret to pervert the course of justice”. The effect of taking bribe is explicitly stated in Isaiah 1 verse 23, “your rulers are rebels, partners with thieves; they all love bribes and chase after gifts. They do not defend the cause of the fatherless; the widow’s cause does not come before them”. “18 Judges and officers shalt thou make thee in all thy gates, which the Lord thy God giveth thee, throughout thy tribes: and they shall judge the people with just judgment. 19 Thou shalt not wrest judgment; thou shalt not respect persons, neither take a gift: for a gift doth blind the eyes of the wise and pervert the words of the righteous. “The duty of the youth is to challenge corruption” hence the timely nature of this paper. We have earlier in this paper put the sources of judicial corruption under the heads of: (a) bias; (b) bribery; (c) Intimidation and (d) the judicial corruption that is the judicial system itself. Here we want to proffer workable solutions that will close up the sources. Bias is multifaceted and the reasons for the giving and acceptance of bribes are seemingly unending. One would then wonder what would suffice as a veritable tool to fight these cankerworms that have delicately and deliberately caused a steady decay in the judiciary. My answer to such a wondering person would be values. Values can be defined as the worth of something compared to its price or put in another form it can be defined as principles or standard of behaviour. A proper understanding by the key players in the judiciary of the principles and standards of behavior expected of them is the first step. The full understanding of the worth of justice, equity, equality and fairness that far outweighs any price any individual would have to offer as bribe or the bias the officer might have is the second. The inculcation of these values I dare say becomes all the more important in the face of the fact that the burden borne by the judiciary is a lot heavier than that borne by other tiers of government. The common man takes solace in the fact that he can test the limits of laws made by the legislature in the courts and he is comforted that within the four walls of the courtroom executive lawlessness can be redressed. To achieve the inculcation of values into the officers of the judiciary, I propose that rigorous trainings with the sole aim of instilling the values of justice, equity and fairness, that is, the need for justice to be done and be manifestly seen to be so done. First the existing officers of the judiciary will be sensitized and then each person scheduled for appointment as an officer in the judiciary. The training exercises are to be carried out by the existing members of the judiciary who are an epitome of the core values of the judiciary. Intimidation of the judiciary could be by another tier of government or could be based on status, fame, power and influence. Whichever form it chooses to take it does not in any way give the actions any legitimacy. To solve this menace I propose as others have overtime, the complete independence of the judiciary from other arms of government. Independence remains the one and only way to ensure that the judiciary can speak up and uphold the rule of law without fear. Independence ensured through a self serving salary payment system; sentimentally free appointments; job security through the setting of parameters for compulsory retirement and a transparent retirement plan. Justice delayed is inevitably justice denied. It is the reality today that matters before courts do not proceed as they ought. Sometimes this is due to the delay tactics of the counsel and at other times it is the judge themselves who fail to sit as frequently as they should. The resultant delay leads to the cases outliving those who filed them in court. In order to solve the problem of delay therefore, a time frame for the resolution of matters ought to be inserted into the rules. After the expiration of the stipulated period, the counsel and the judge involved in such a delayed matter should forward an explanation to the Chief Judge of the court and the National Judicial Council. In addition, the judge would then suggest a period of time estimated for the conclusion of the cases. It is also recommended that the fast track system, settlement week, electronic-filling system, case management conferences and the frontloading system that have been fully imbibed and is being implemented in Lagos state and in the Federal Capital Territory, Abuja are commendable and should be adopted by other states as an instrument to ensure the quick dispensation of justice and equity. I will conclude this discuss by a reference to the Book of Proverbs 29 verse 4 which says that;“by justice a king gives a country stability, but those who are greedy for bribes tear it down”. Progression and stability in the society stems from justice and equity, justice and equity can only be a reality where the judiciary is above the moral decay called corruption. Thomas Hobbes, “Leviathan or The Matter, Forme and Power of a Common Wealth Ecclesiasticall and Civil” (1651). Bias could be religious, political, social, ethnic and sometimes based on life experiences. In technical terms it is referred to as the judges’ idiosyncrasies. This can be two fold (a) by powerful and influential persons (b) by the constant interference of other arms of government in the activities of the judiciary. A situation where the cases that come before the court experience untold delay lasting for fifteen (15) years in certain cases either by the delay occasioned by the judges themselves or the lawyers who appear before them or sometimes due to no fault of any of the players. ‘Lawyer gives instances of corruption in Nigeria’s Judiciary’ Channels Television24th of October, 2016. ‘Still on Corruption in the Nigerian Judiciary’ The Nation Newspaper 23rd October, 2016. The writer however stated in his write up that the veracity of the story cannot be guaranteed. Concise Oxford English Dictionary, 11th Edition, Oxford University Press.